Automated home lighting controls provide the ultimate in energy efficiency, streamlined facility maintenance, and energy cost control. It’s a process of automatically controlling the entire lightening system in the home. There are several benefits of having an automated lightening system, but first, let’s talk about their types. There are different types of home lighting control such as daylighting, dimmers, as well as occupancy sensors. The dimmers help the user adjust the lighting from bright to dark. This helps the household owner save cost on energy. Occupancy sensors are controlled automatically. They usually switch off when movement is detected and go off when one area is not occupied for a given period of time. On the other hand, daylighting makes effective use of daylight to reduce electrical lightening energy. This type of home lighting system helps the user save cost on energy. The above are all lightning options for you to chose, depending on your household needs. 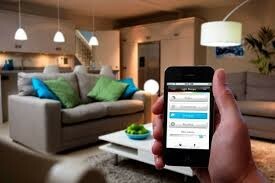 There are numerous benefits of having an automated lighting system in the home. Automatic home lightning system provides a productive and comfortable visual environment. When your light shuts off at the right time and effectively lit the room when it’s needed, you will feel more relaxed and comfortable. 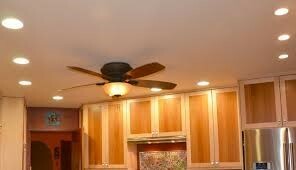 This is perhaps one of the most important reasons for having automatic home lighting controls. Dimmers, in particular, save you a lot of energy as opposed to manually operated lighting systems. The more light is deemed, the more energy is being saved. Overtime, the amount of saved energy is always significant. You can control your automated lighting system even when away, unlike the traditional on and off switch system. This gives you rest of mind in case you forgot to turn off the light. Moreover, with occupancy sensors you don’t need to bother about putting on or putting off the light. The lighting system automatically comes up when it senses any movements and goes off after a period of inactivity. Overall, the automatic home lighting system is more energy efficient, more convenient, and improves your comfort level in the home.